Puedes encontrar Backup Assistant en App Store de tu dispositivo. Depending on your device model, the store may be called Media Center or Get It Now®. Open the main menu of your device to find out which store you have. Ten en cuenta que los colores y el fondo pueden variar. 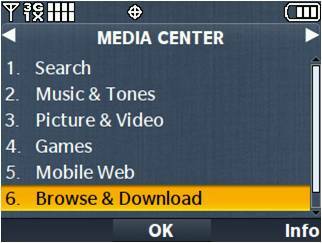 From the main menu, find and select Media Center, then select Browse & Download. 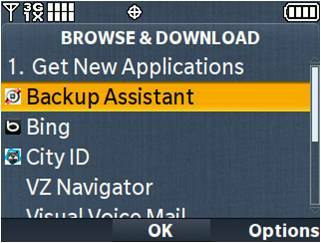 If you see Backup Assistant in the Browse & Download menu, continue to Step 3. Note: If you don't see Backup Assistant, select Get New Applications, scroll to Backup Assistant in the app catalog, and click OK. Select Backup Assistant. Depending on your device, the application might be preloaded, or you may need to download it first. 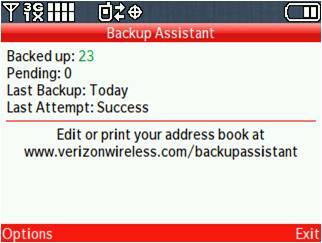 If you see the Backup Assistant screen below, then the application is preloaded on your device. Continue to the Set Up Backup Assistant section below. De lo contrario, debes descargar Backup Assistant primero. Presiona la tecla OK o la tecla central de selección para comenzar la descarga. When the download completes, select Yes to run the application. 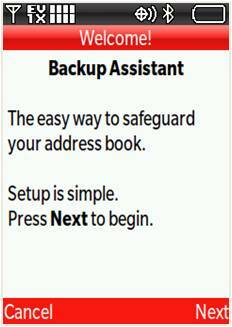 Continue to the Configura Backup Assistant section below. 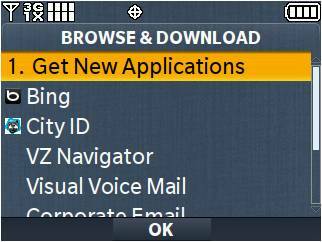 From the main menu, find and select Get It Now, then select Tools on the Go. Select either Business Tools / Information or Best Sellers. 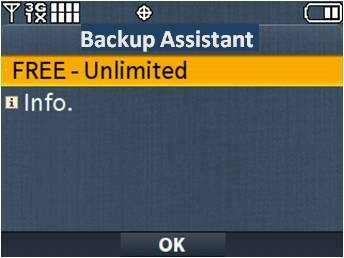 Select Backup Assistant and follow the prompts to download and run the application. Continue to the Set Up Backup Assistant section below. When you see the Backup Assistant Welcome screen, press Next to begin setting up your account. Se te indicará que ingreses el PIN de cuatro a ocho dígitos que creaste cuando activaste Backup Assistant. If you forgot your PIN, press the # key to have it sent to your device. 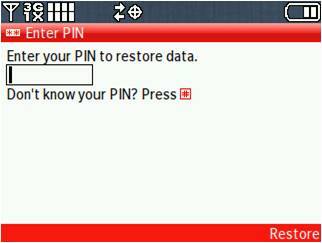 Note: You won't be able to have the PIN sent to your device if the feature was disabled during initial setup of Backup Assistant. Todos los contactos que estén en tu dispositivo se guardarán en el servidor seguro de Backup Assistant, y tu directorio telefónico estará protegido. La aplicación efectuará copias de seguridad de tu directorio telefónico a diario. Cuando cambies a otro dispositivo, simplemente activa Backup Assistant en él para restablecer automáticamente todos tus contactos.